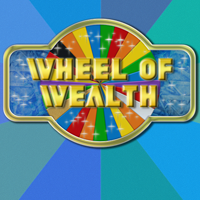 Based on the very popular TV show Wheel of Fortune, developers Shantek Online Solutions have released “Wheel of Wealth to the Windows Phone”. You can send invites to play with friends online or get random opponents designated to you. The game is loads of fun as soon as you get into a game but it might be aÂ bitÂ of a slow process getting it going. It’s a great start though and I can’t wait to see this game progress over the next few weeks. Written by: Hyde13 on November 7, 2011.